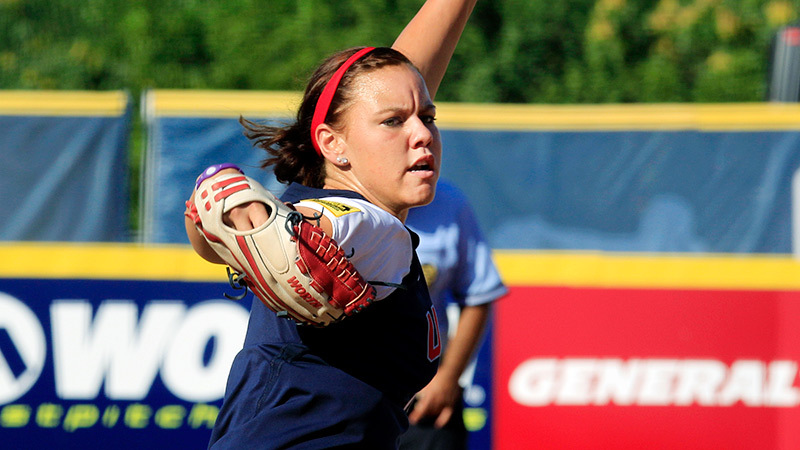 Keilani Ricketts was inspired to pitch by Monica Abbott. Now they're teaming up to try to send Team USA to the Olympics. IRVINE, Calif. -- Keilani Ricketts was the best player on arguably the best college softball team of all time. 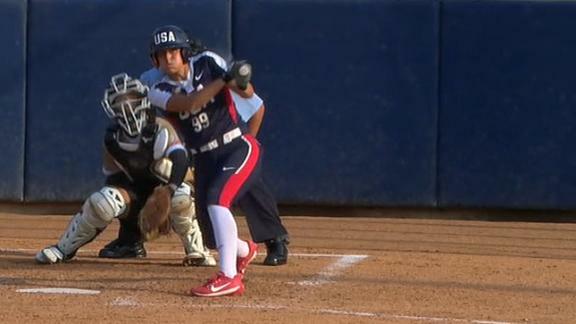 She pitched deep into extra innings with a world championship on the line. She continues to face the best hitters that professional leagues in both the United States and Japan can offer. There isn't much the 26-year-old hasn't experienced on a softball field. In fact, until a 2016 International Olympic Committee vote, there wasn't anything left unexplored. But with softball reinstated in the Olympics after a 12-year hiatus, at least for Tokyo in 2020, something dawned on her as she prepared for the WBSC World Championship, which begins Thursday and offers 15 countries their first chance to join host Japan in the Olympic field. "This might be the biggest thing I've ever played for," said Ricketts, who won a national title with Oklahoma in 2013. 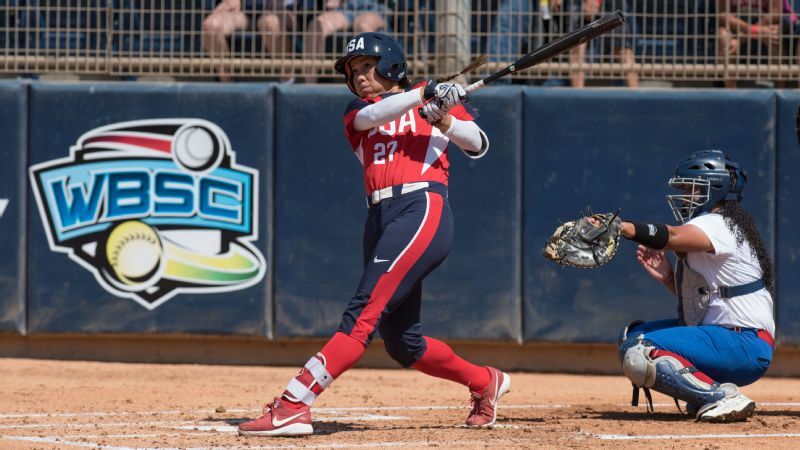 "We always thought it was the Women's College World Series, but now that we have the Olympics back, it's pretty cool to be able to say that the stakes are higher. ... Now the way that I approach every season, I'm trying to be an Olympian. That's the way I take my training, take my practices. That's exciting to be able to do." It should also be exciting for the sport that she has that opportunity. 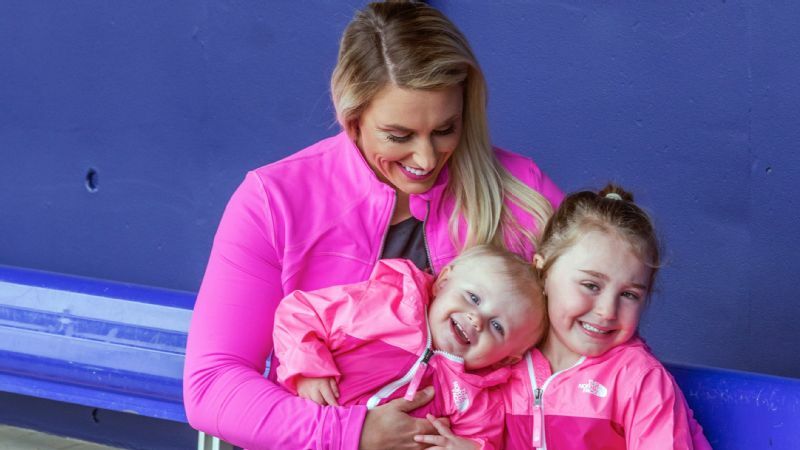 Ricketts spent most of her life figuring out what to do with the potential for greatness, first learning to appreciate her body as a gift and then letting go of stubborn pride as a pitcher. The woman who emerged has the skill and confidence to be an ambassador of a sport. Yet without the Olympics, only a diehard subset of fans would witness that progression. Her message would reach only so many ears without that biggest of megaphones. To most, she would be frozen in time as the college icon. That was impressive enough, to be sure. But who she continues to become is an even better story. "I think she's grown up quite a bit," said Oklahoma coach Patty Gasso, who coached against her former star this summer with one of two USA teams. "She's very self-disciplined. You can see it by the way she looks, her workout regimen, her commitment is a whole other level. I think her best is yet to come. A lot of our athletes who get into their late 20s find that's where they peak." Keilani Ricketts, left, says her size made her uncomfortable around others for much of her life. Ricketts has little choice in leaving an impression on those who see her. Even before she throws a pitch. At 6-foot-2, she is the tallest in a family that includes a brother who played Division I football and two sisters who played Division I softball. It didn't help, she lamented, that her best friends always seemed to be among the shorter girls in any class. But she was always bigger than her peers -- taller, broader, altogether more of a presence. "I think growing up I was always a little bit uncomfortable around people," Ricketts said. To put herself in the spotlight that comes with pitching -- the one place on a softball diamond where a player is literally circled for closer scrutiny -- might seem a curious choice. And indeed it wasn't initially her choice. Eager to bring her out of her shell as a teenager, not to mention let her make best use of her physical skills, her parents encouraged her to pitch. 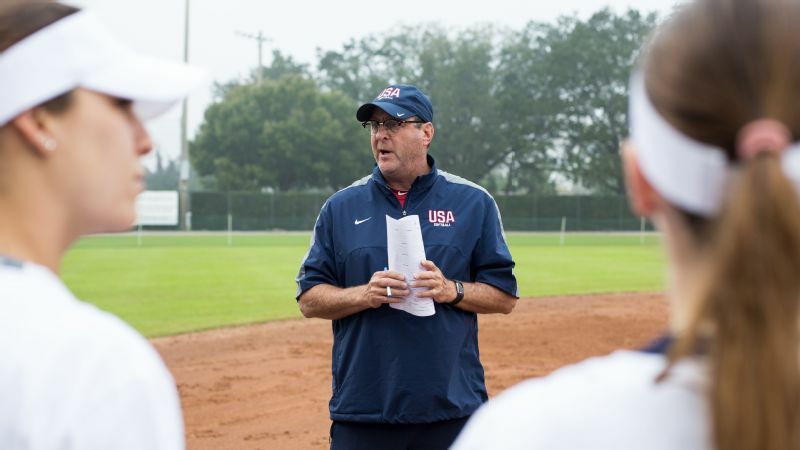 She eventually took to it, motivated, in her recollection, by a coach telling her about the daily routine of Monica Abbott, now her teammate and then already a member of Team USA. She figured she might as well see what happened if she committed the same way. What happened included a college career that concluded with her a two-time national player of the year and all-time rankings of ninth in Division I wins and 11th in strikeouts. Growing up I was always kind of the big goober on the team. 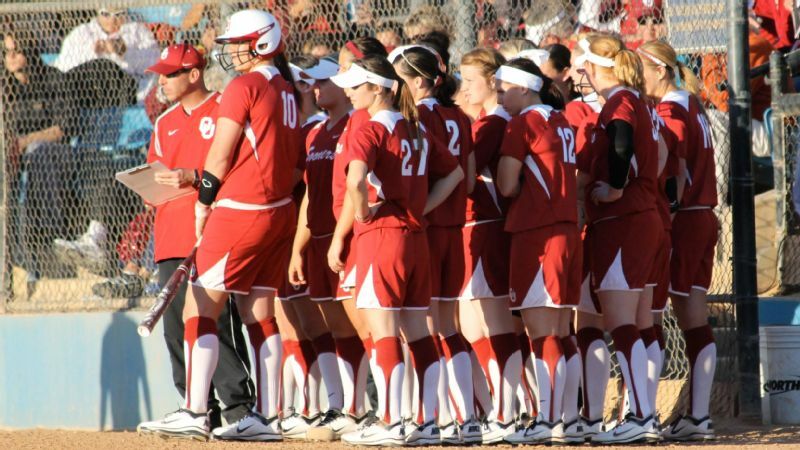 And still the defining experience of her time in college might not have been on the field in Norman, Oklahoma, or even up the road in Oklahoma City, home to the Women's College World Series. It was instead thousands of miles away in the Pacific nation of Samoa. She knew she had Samoan heritage -- her late maternal grandparents were born and lived there. But she hadn't been immersed until that visit. What she encountered in person was a place where she didn't stand out, where big bodies were more common. The trip was also where she met Sean Tumanuvao, who last year became her husband. "Growing up I was always kind of the big goober on the team," Ricketts said. "It was just one of those things where it was hard to accept being the big goober -- that's the only way I can describe myself. But I think after seeing the roots and seeing how Samoan people, they are large and they accept it, that's one thing that has been easy to accept. It's cool to be able to see how loving they are about what they have as Samoans and use that as their strength. I think that was something I've been able to accept -- that I am a big, strong girl and I love it." As a pitcher, however, the challenge is accepting that big and strong isn't always enough. Fresh out of Oklahoma, Ricketts was the ace of the American team that won silver in the 2012 world championships. She thought she was a fully formed pitcher at the time. It puzzled her when people told her that summer was a good first step toward reaching her potential. What more was there? The hard truth came courtesy of the same pitch that made her so dominant in college, the fabled "crop duster," a drop-curve hybrid that buckled the knees of batters. But when she joined National Pro Fastpitch in 2013, caught in the middle of the conflict between that league and USA Softball, and soon also signed in the Japanese league with Toyota Shokki, the best hitters in the world proved they can hit anything they know is coming. "Once I got into NPF, once I got into Japanese pro ball, that spot where that pitch goes is kind of the power zone for a lot of the bigger hitters," Ricketts said. "I think at first I was a little stubborn about it. I just kept trying to attack with my best stuff -- that's what they tell you as an athlete. I had to accept that I had to build around that pitch and had to evolve off that pitch." Nor was that the only adjustment. Professional softball isn't an easy existence, a nearly year-round commitment of training and relocating for those who do the NPF-Japan circuit. Many of the luxuries college players take for granted -- access to coaching and training environments, even positive feedback -- become a player's responsibility. She had to get used to being one of many pitchers on a deep USSSA Pride roster, to not always getting the ball. 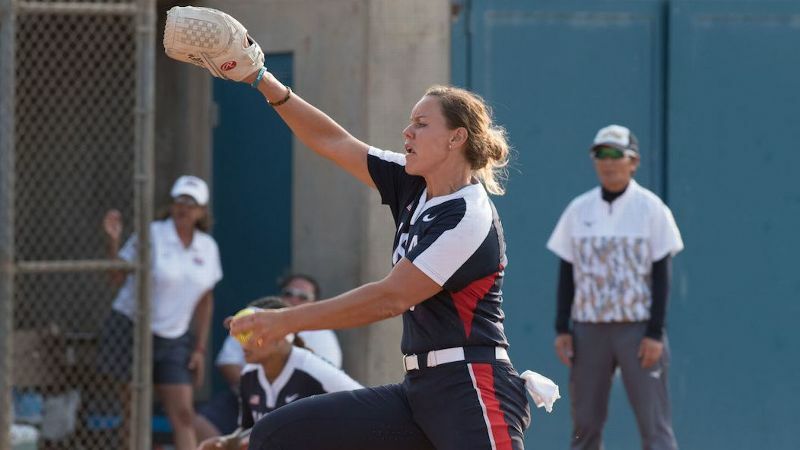 By 2016, as the international sporting community was weighing softball's future, Ricketts broke down in tears and told then-Pride coach Lonni Alameda that she wasn't sure the effort was still worth it. She wasn't sure she still loved the game enough. Over coffee the next day, Alameda had her hold a softball, then told her to write down everything she did still love about the sport. "I was just putting so much pressure on myself," Ricketts said, "trying to do way too much that was out of my control." As simplistic at it sounds, she tried to focus more on enjoying the teams she was on instead of worrying about her own performance. 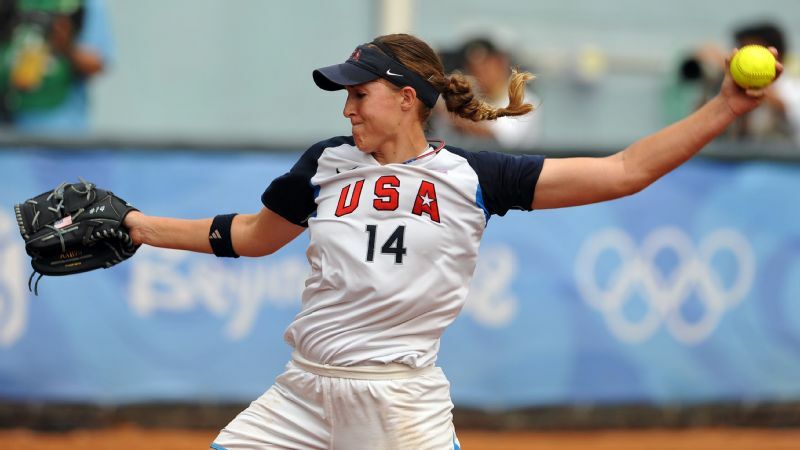 She was brilliant in the playoffs in 2016, albeit once again the hard-luck loser, just as she had been in the 2012 Women's College World Series and the same year's world championships. She had her best NPF season in 2017 and hasn't given up an earned run this season, admittedly in limited innings because of her national team commitments. She returned to the national program after a long absence along with the likes of Abbott and Kelly Kretschman. "She's matured so much," Kretschman said. "Her mental game, just how she approaches every start, is 100 times different than when I first saw her on the Pride. She was a little kid then. I think she was still learning that failure is OK. I think she embraces the failure now because she gets better from it. You don't see her give up a couple of runs in an inning and kind of go in the tank anymore. She gives them up and she's still battling the rest of the game." Chronology always worked against Ricketts. 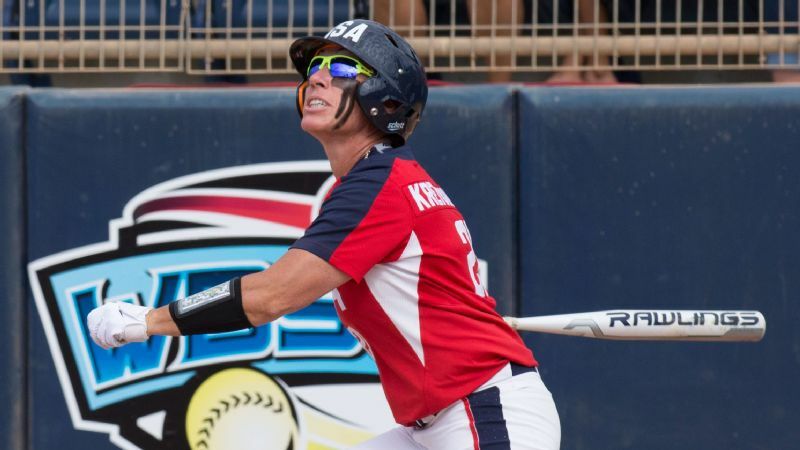 She arrived on the softball scene not long after Abbott and Cat Osterman completed their college careers and earned further fame as Olympians. Because she was tall, because she struck out batters by the dozens, Ricketts was supposed to be the next in that lineage. Except the softball landscape had changed. There wasn't anywhere for her to be next, not like there had been. Unfair expectations mingled with impossible circumstances. And so the question bubbled up from time to time. What ever happened to Keilani Ricketts? She was hard at work. Not on being the next Osterman or Abbott, the ace who will take pressure off all of Team USA's pitchers this week. She remains hard at work being Keilani Ricketts. A big, strong, slyly funny woman whose second act in the spotlight could be even better than her first.